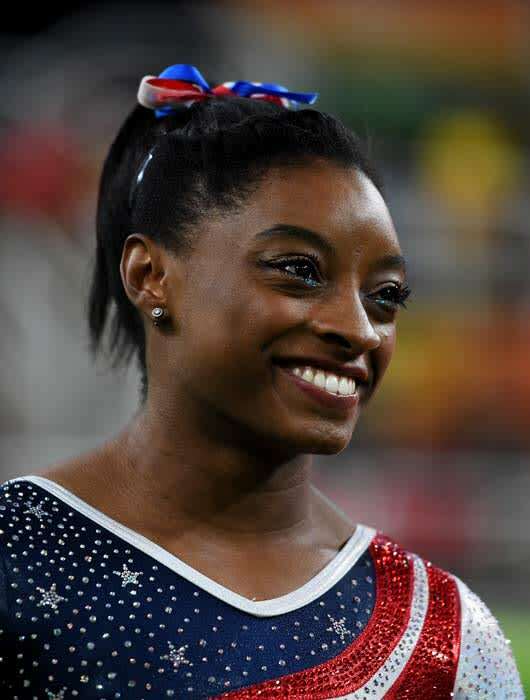 Simone Biles wins gold in red, white and blue eyeliner | HELLO! The 19-year-old upped her beauty game as she took to the podium with her teammates, sporting a glittering slick of red, white and glue glitter along her lower lash line. 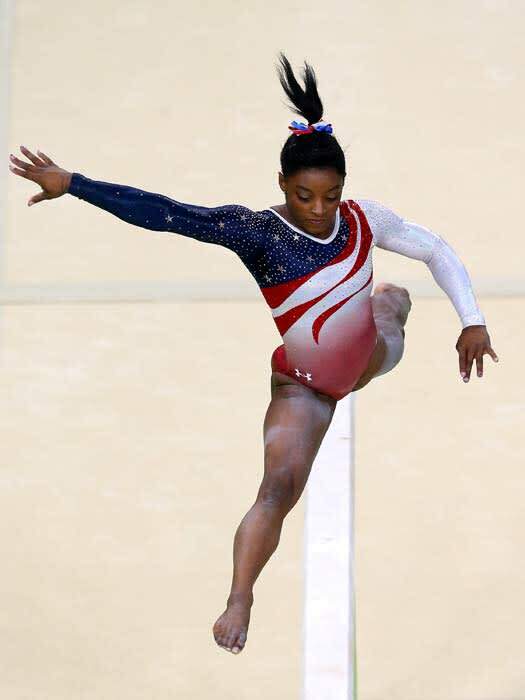 The patriotic make-up matched her sparkling red, white and blue leotard. Simone has become known for her fun eye make-up looks. Performing a vault routine on Sunday night, the gymnast rocked a bold cat eye with a swoop of blue under the eye and the corner dusted with silver sparkles. It was the night that Simone also caught the attention of one very high-profile toddler – North West. North's mum Kim Kardashian tweeted about the gymnast: "North is watching @Simone_Biles in awe! She's rolling around on the bed pretending to copy her lol." 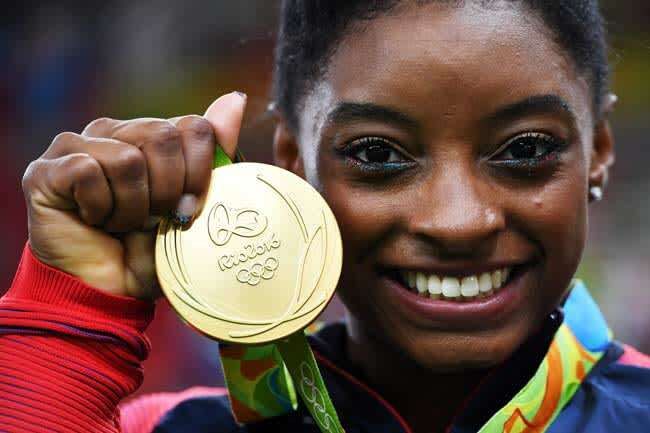 Simone has a huge fan base of her own – the teenager has almost one million followers on Instagram, where she has shared lots of snaps since arriving in Brazil for the Olympics. On Monday she shared a snap of her USA Team alongside a touching message: "#GoTeamUSA behind all of our hard work and dedication, are our coaches who have never given up on us and put in work for us to be where we are. So thankful."